Football fans are being offered some simple tips to ensure they stay healthy and safe during the World Cup. With the planet’s biggest soccer show starting on Thursday, footy followers are eagerly awaiting a month of televised games and keeping their fingers crossed for a better showing from England. Durham County Council has issued advice for fans who will be having a drink while watching matches either in pubs and clubs, or at home. • Set a limit for how much you will drink and stick to it – this will also help your finances. • Drink alcohol slowly and alternate with water or non-alcoholic drinks. • Make sure you have some food before you start to drink alcohol. • Where possible avoid drinking alcohol in rounds, this will help you pace your own intake. • Make a plan to ensure you know how you are getting home before you go out. • If you’ve had a drink avoid walking next to rivers, lakes ponds and the sea. Alcohol is responsible for 80 per cent of all open water related fatalities. • If you have drunk alcohol the night before you may still be over the limit the following day. Remember, it takes at least one hour for each unit of alcohol to get out of your system once you stop drinking. • Remember the UK Chief Medical Officers’ guideline for both men and women is not to drink more than 14 units a week on a regular basis to reduce harm from alcohol. 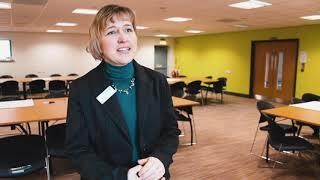 Cllr Lucy Hovvels MBE, Cabinet member for health and wellbeing, said: “The World Cup is an exciting, fun event for all ages. The council runs Durham City’s Best Bar None scheme, which aims to promote the responsible management and operation of licensed premises, in partnership with Durham Constabulary. 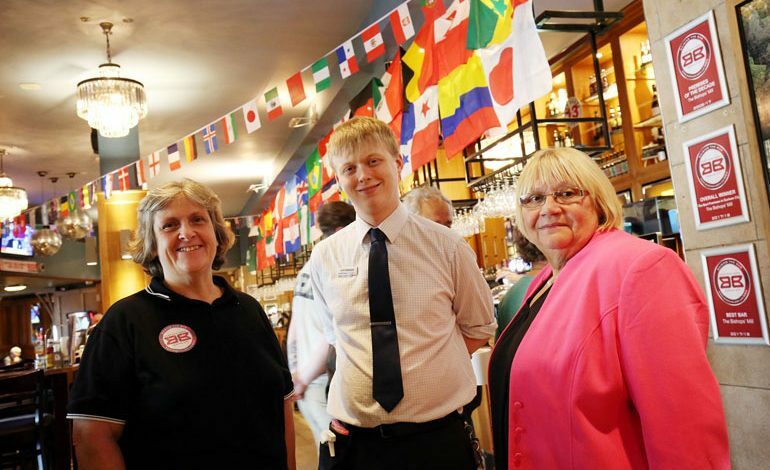 • Pictured (above): Carol Feenan, Cllr Hovvels (pink jacket) and Connor Brennan, duty manager at The Bishops’ Mill.